Hi peeps! Happy Friday. I am so excited to share Honey Bee Stamps collaboration set for Simon Says Stamp’s Stamptember. It’s called “Remarkable You” and this sentiment set is so perfect for your cardmaking as you can use it for various occasion. For my card, I combined the sentiment set with Gather Together set. A group of cute critters, sign me up for that! For this card, I started with a panel of watercolor cardstock and brushed some green, orange, teal, purple and pink color on it. I was going for darker tone, but once I see the way the soft color turned out, I stopped and decided to go with lighter tone. Once the cardstock dry, I simply stamped the image and highlighted the flower, leaves that three of the critters hold with Copic. Then simply stamped the sentiment. I love how the Remarkable set allow you to combine and create your own sentiment. Finished by adding some sequins from Pumpkin Patch mix. Want to see more inspiration using this collaboration set? 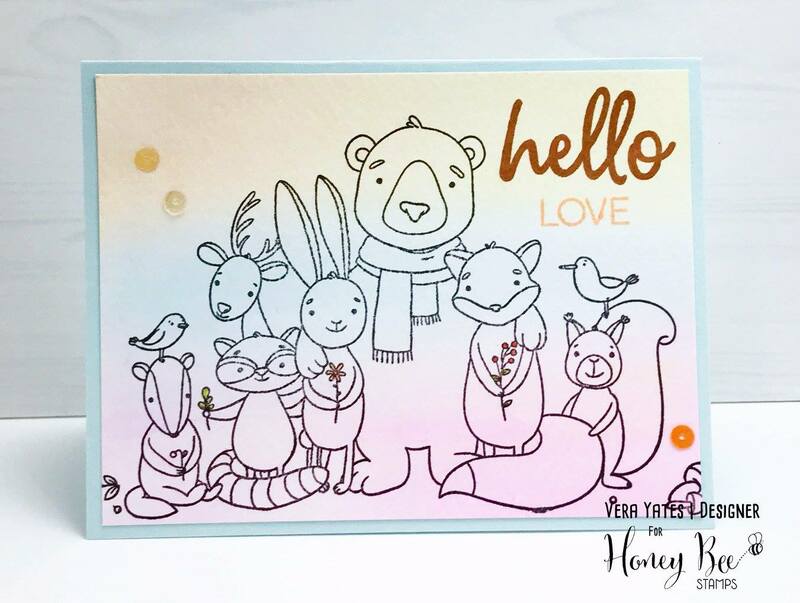 Head on to Honey Bee Stamps blog. And, please visit Simon Says Stamp to purchase the limited edition “Remarkable You” Stamptember set with coordinating dies. Thank you so much for stopping by here and I hope you have a sweet Friday. Hi peeps! 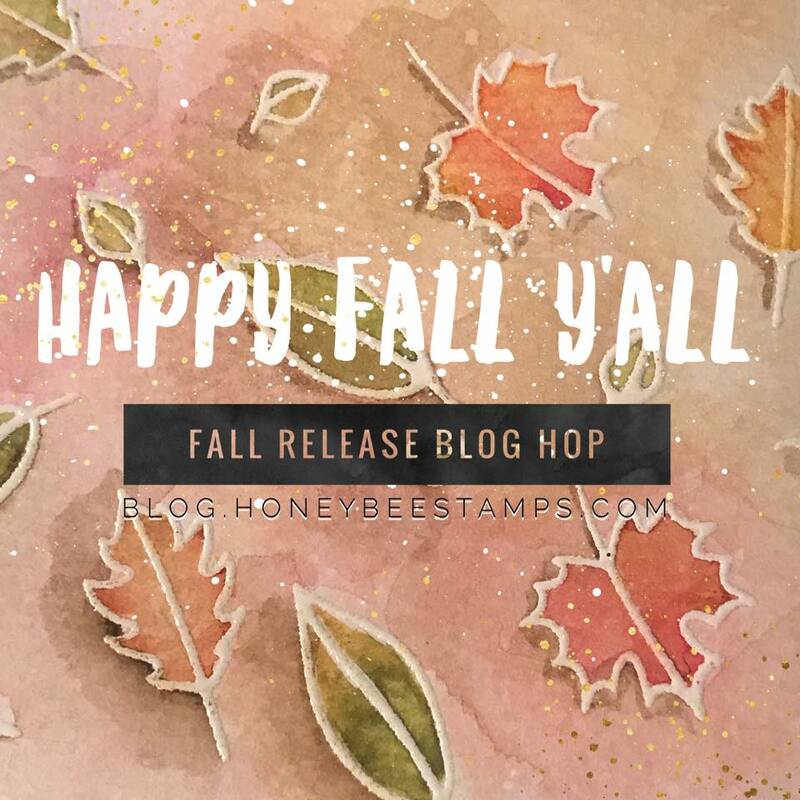 The Honey Bee Stamps Fall Release has been happening all week and the fantastic fall products are now available in the shop. 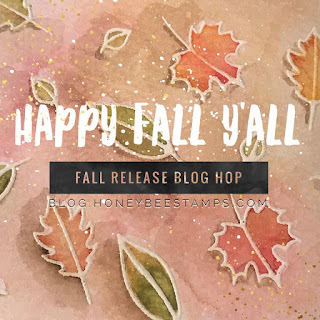 To celebrate the new release, we are having the Happy Fall Y'all Blog Hop. So grab your cup of Pumpkin Spice Latte, or whatever cozy drink you love and hop along with us to get you in the fall frame of mind! For the hop, I played with the sweet & adorable Forest Friends set. To make this card, I started by inking one of one of the stencil from Honey Bee Hexagon Layering Background Stencil. On purpose I didn't ink it evenly as I want to have the random look that kind of fade out. Once that done, I stamped, die-cut and color the critters. Before adhering it to the card base, I luckily remember to stamp the sentiment first. Hah... it had happened where I adhere the image first and then found out I didn't have enough space for the sentiment. I hope you enjoy the hop. Below is the complete list of the participants. Be sure to visit each blog & leave a comment, you don't want to miss out on any of the fun prizes!!! We will be giving away TWO $50 gift cards to the Honey Bee Stamps store. Thank you so much for stopping by here & may your Friday be a blessed one. Hi peeps! How's thing going? Welcome to SugarPea Designs Sweet2Repeat Blog Hop ! Now that so many of you have our Fall Release in your hot little hands, our Pod Squad of designers have geared up to inspire you with even MORE creative possibilities featuring our newest and hottest products! I am sure for many of you it's no surprise that I choose to play with the critter stamp from the super adorable Indian Summer set. You know I can't resist cuteness, right? I first work on the background. I start by doing some ink blending on a piece of cardstock panel and then die-cut it with the SugarCut - Arrow Cover Plate. Adhere it to the card base. Followed by stamping, die-cutting and coloring the tent, raccoon, turkey and pumpkin and arrange them on the card. Finished by stamping the sentiment. Easy peasy. Would you like to WIN a $20 gift certificate to spend on some SugarPea Designs of your own? Please visit with each of our design team members listed below and leave a comment for your chance to win! Thank you all so much for stopping by here and enjoy your Friday! 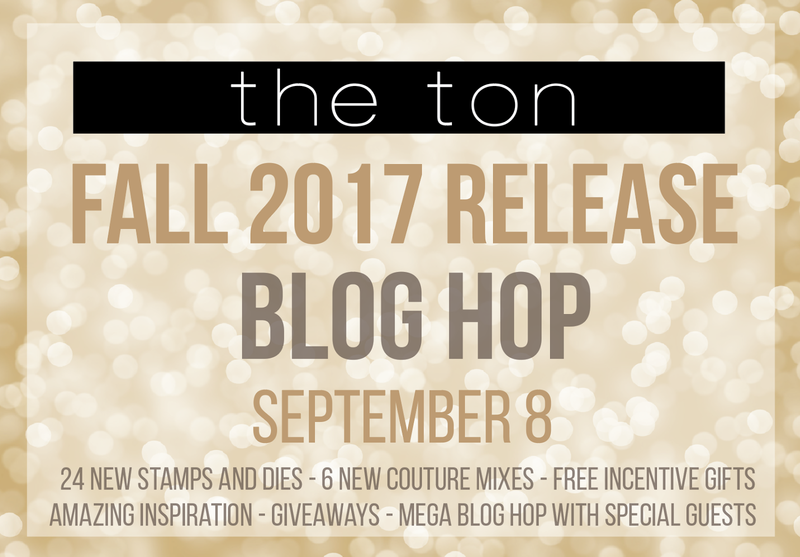 Happy Friday everyone and welcome to The Ton's Fall 217 Release Blog Hop! You should arrived here from The Ton blog. 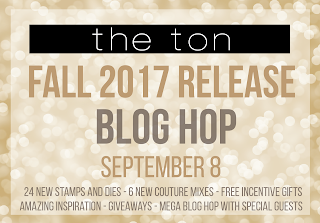 For this release, The Ton has released 23 new stamp designs, coordinating dies and 6 new couture mixes! There are two new gifts with purchases that you can obtain with this new release. This promotion does not apply to prior purchases. The threshold amount is calculated before taxes and shipping. This promotion will continue until September 22 at 11:59pm EST or until supplies last. Limit one incentive package per order. No coupon code needed. All incentive products will be added to qualified orders automatically (but will not be shown in your cart at checkout). There must be at least one new release stamp in your order to qualify for these GWPs. Spend $200 or more: Receive a 3x4 Good Tidings Cluster Set (and a Christmas Mini Cluster Stamp and Sugar Cookie Mix). For the hop, I played with this pretty Christmas Mini Cluster, which is one of the incentive set. Then I simply added some sequins . We're almost there! Today all the new releases will be available for purchase. Yay! For The Ton's Fall 2017, Effie has released 23 new stamp designs, coordinating dies and 6 new couture mixes! There are two new gifts with purchases that you can obtain with this new release. This promotion does not apply to prior purchases. The threshold amount is calculated before taxes and shipping. This promotion will continue until September 22 at 11:59pm EST or until supplies last. Limit one incentive package per order. No coupon code needed. All incentive products will be added to qualified orders automatically (but will not be shown in your cart at checkout). There must be at least one new release stamp in your order to qualify for these GWPs. Today, we are excited to introduce these sets: Scenes Fireplace, Holiday Ballet, Fireplace Accessories, Fireplace Holiday Accessories, Christmas Pine Tree, City Girls Winter Edition. I chose to play with Christmas Pine Tree and made this card. Hope you enjoy today's sneak peek. Check out what the team has created for today's sneak peek and don't forget to leave a comment along the way for a chance at the giveaway. Good luck and thank you for stopping by here. 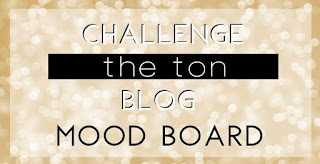 “The Ton's September Challenge is now live! 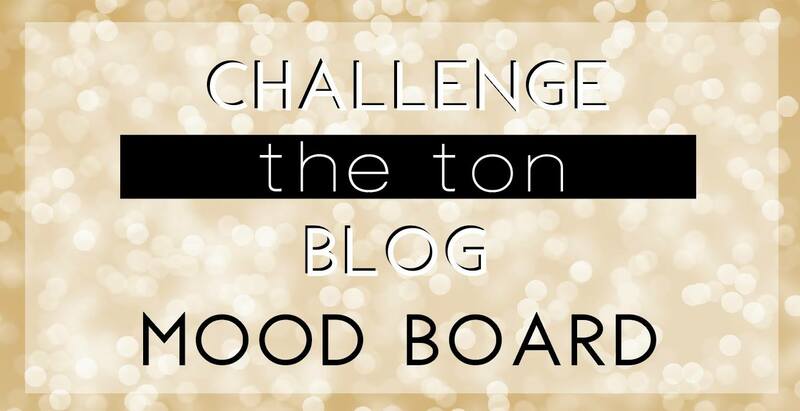 For this month, we have a fun Mood Board Challenge so head over there now for a chance to win a $50 spree to The Ton’s shop!” *Gift certificates only apply to The Ton stamps, dies, ink, gilding and embossing powder. Welcome to day 3 of The Ton's Fall 2017 Release. Effie has released 23 new stamp designs, coordinating dies and 6 new couture mixes! There are two new gifts with purchases that you can obtain with this new release. This promotion does not apply to prior purchases. The threshold amount is calculated before taxes and shipping. This promotion will continue until September 22 at 11:59pm EST or until supplies last. Limit one incentive package per order. No coupon code needed. All incentive products will be added to qualified orders automatically (but will not be shown in your cart at checkout). There must be at least one new release stamp in your order to qualify for these GWPs. Today, we are excited to introduce these sets: Cozy Poinsettias, Holiday Love Poinsettia, Poinsettia Banner, Poinsettia Close Up, and Occasion Confetti. I love, love, love the Holiday Love Poinsettia set. It's so beautiful & elegant. Heck, this release poinsettia sets are all so amazing. If it's not because I am press for time, I'd totally play with all the sets immediately. Alas, that's not the case, so I use one of my favorite set from this release. Hi peeps, welcome to day 2 of The Ton's Fall 2017 Release. Effie has released 23 new stamp designs, coordinating dies and 6 new couture mixes! There are two new gifts with purchases that you can obtain with this new release. This promotion does not apply to prior purchases. The threshold amount is calculated before taxes and shipping. This promotion will continue until September 22 at 11:59pm EST or until supplies last. Limit one incentive package per order. No coupon code needed. All incentive products will be added to qualified orders automatically (but will not be shown in your cart at checkout). There must be at least one new release stamp in your order to qualify for these GWPs. Today, we are excited to introduce these sets: Christmas Wreath Builder, Holly Branch, Star Trails, Mini Pine Tree, and Holiday Movie Sentiments. For my card I focused on the Christmas Wreath Builder, which is a beautiful set and allow you to layered up the leaves to create depth. I keep the design clean and simply add some Mixed Dew Drops to embellish the card. Hi peeps! Welcome to the Ton's Fall 2017 release week. For this release, Effie has released 23 new stamp designs, coordinating dies and 6 new couture mixes! There are two new gifts with purchases that you can obtain with this new release. This promotion does not apply to prior purchases. The threshold amount is calculated before taxes and shipping. This promotion will continue until September 22 at 11:59pm EST or until supplies last. Limit one incentive package per order. No coupon code needed. All incentive products will be added to qualified orders automatically (but will not be shown in your cart at checkout). There must be at least one new release stamp in your order to qualify for these GWPs. For today, we are introducing: Fresh Cut Carnations, Large Florals: Carnation, Waterfall, Magnolia Fields, and Magnificent Magnolias. I am a big fan of The Ton large floral sets. They're all so beautiful & fun to work with. This carnation set is no exception. I love carnation! As usual, with a set like this, I feel like not much else needed to let the flower shine and take center stage. Next up is the Magnificent Magnolias. Swoon... It's one of my favorite flower. Hah!! Iknow, I know, I say that a lot. What can I say I just love flowers and I have many favorite! In my opinion, magnolia is one of those flower that's simple but beautiful in its simplicity. Hi peeps! Can you believe we are in September now? Yikes! Time sure flies like crazy. Well, new month means new challenge from The Ton. 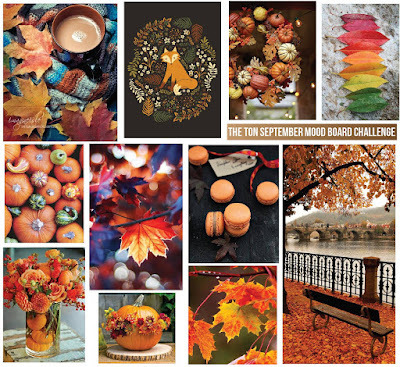 And, this time, our mood board has cozy fall feeling to it. I love fall weather, but I have to admit when it come to fall color... it's one color combo I often struggling with, cause they're not my favorite color combo. Hah... 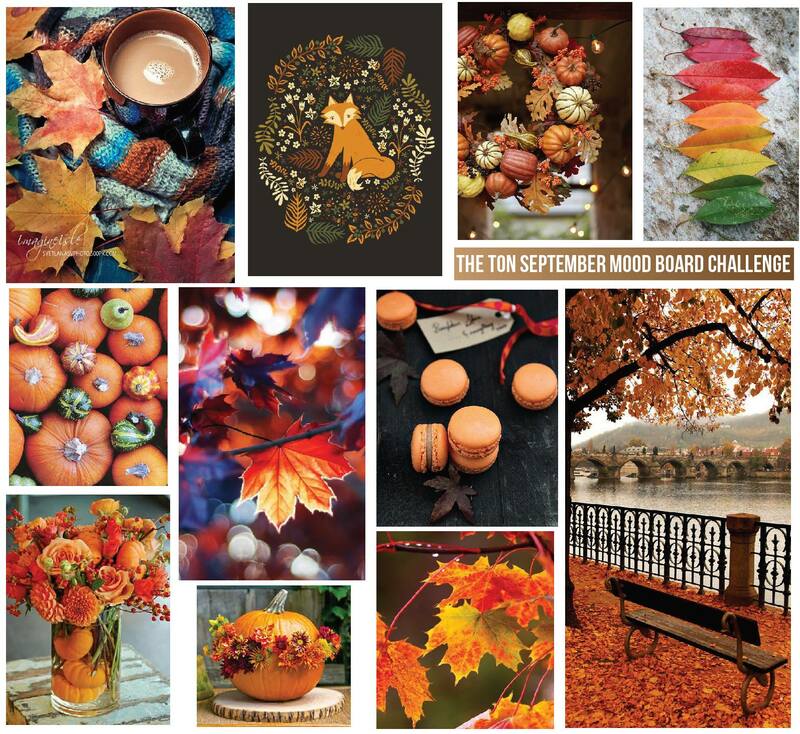 So, here's my attempt at a fall color card. I stamped the Summer Blooms twice on the card panel and heat embossed it with The Ton Rose Gold embossing powder. Then colored the image with Copic, stamped the sentiment and finished by adding some sequins. Then, I simply adhere the panel to the card base. I hope you will play along with us. Thank you for stopping by here and to enter your project for this challenge please go HERE.